Home » Should You Make Money Teaching? 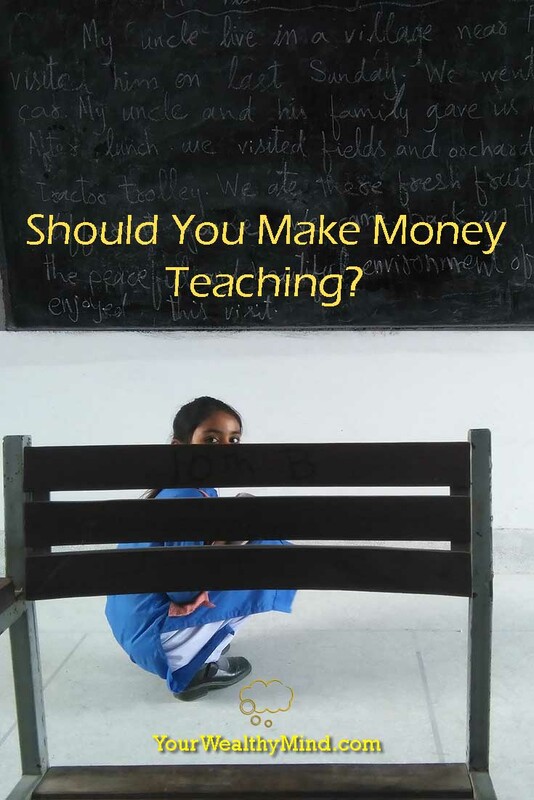 Should You Make Money Teaching? Want to get promoted and advance your career? Learn better leadership and management skills. Want to improve your business? Learn better product development, marketing skills, “growth hacking,” etc. Want to earn more through stocks and investing? Learn how to choose great companies, how to invest for the long term, when to trade, etc. Oddly enough, somebody didn’t like that. They *countered that there are way too many “opportunists selling false hope” and that poverty is hopeless. I understand his point. There are many spammers out there with recycled and plagiarized content and many “investment advisors” scamming people out of their money, but I DON’T agree with his point that poverty is hopeless. After all, there are people who write books and guides on how to improve crop yield to help poor farmers, recipe books for starting small food businesses (I found several in our local bookstores), guides and financial assistance for micro-businesses (Muhammad Yunus’ projects) and more. He just didn’t like the fact that I (and many other bloggers, writers, authors, and coaches like me) earn money from my blog. *Unfortunately, that person’s comment disappeared for some reason. I wanted to ask, “who taught you to read? Who taught you to write? Who taught you how to count, add, subtract, and do math?” Chances are, he learned them all in school thanks to a bunch of teachers who ALL got paid for their work. Now, we have to remember that schools never guarantee jobs or success. There are many graduates out there who are unemployed and there are many who aren’t doing well financially. Do schools offer “false hope” then? Should they all be abolished? Schools are valuable as they teach things you can USE to become successful. After all, you can’t count your change if you never learned to count, and you can’t read and sign employment and property contracts if you can’t read or write. You can thank your teachers for your ability to do those things, and you likely wouldn’t have been taught those things if your teachers didn’t get paid to teach. While some teachers teach for free, they are a minority. Don’t forget that teachers are people too, and they need money to feed themselves and their families. If they weren’t paid, they’d likely quit and do something else to earn money. Just imagine a world where there are less engineers building safe roads and bridges, less doctors saving lives, and less professionals who run society because there are no teachers around to pass on their knowledge to the next generation. Again, there are no guarantees that knowledge brings results, but having NO knowledge guarantees that there will be little, if any, GOOD results (will you let some random person perform heart surgery on you?). There are those who teach language and grammar, math, geometry, engineering, medicine, architecture, art and design, and other subjects, and there are those like me who teach self-improvement and self-development, leadership and management, personal finance, success, and more. Knowledge gives no guarantees, but you’ll find and make use of better opportunities when you have a lot of useful knowledge. We ALL have something to teach. Are you good at managing employees? Have you learned what to do and what NOT to do during team meetings? Have you learned and practiced martial arts? Have you learned how to swim? Do you know rock climbing? Have you succeeded at investing in stocks, bonds, and real estate? Have you tried farming and do you have tips on how to increase crop yield? Have you started and managed a business for years now and do you have tips for entrepreneurs who are just starting out? Somebody out there might need the knowledge and experience that you’ve earned, and your advice can mean the difference between somebody else’s success or failure. People out there could have become MUCH more successful in life because of a great tip you could have given, and others COULD have avoided bankruptcy and failure because of a common mistake you might have warned them about. Who knows? In any case, you’ll never help anyone if you keep your wisdom and knowledge to yourself. While you can teach what you know for free, you’ll have LESS time for it as you still need to work at your regular job to earn money. 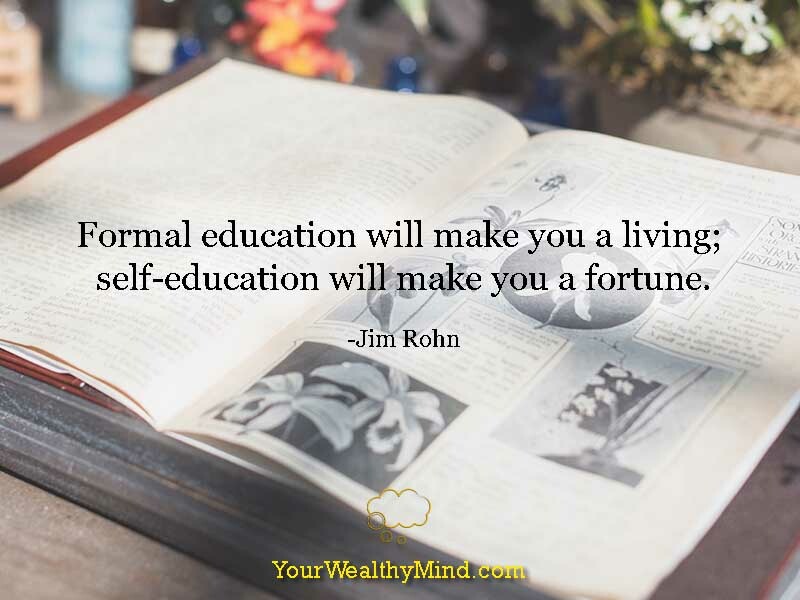 You CAN, however, dedicate MORE time to teaching and help MORE people out there by teaching classes, writing books and articles, creating instructional videos, and more… and you can rightfully earn money from it. The more people you help, the more you will earn.